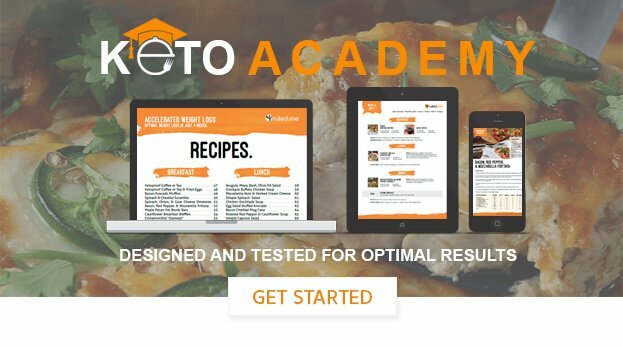 How do I calculate net carbs? 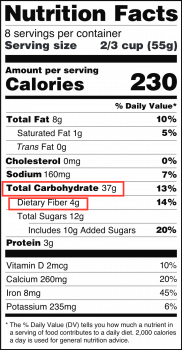 The two values (and only two values) that you will be focusing on to calculate the net carb content of foods are “Total Carbohydrate” and “Dietary Fiber.” Total sugars and added sugars don’t matter as much because they don’t give you all the info you need to find the net carbs. Keep in mind that this indicates the number of net carbs per serving (which is 2/3 cup or 55 grams in this case). If you need help tracking your net carbs throughout the day, try using a macro tracking app like MyFitnessPal or Cronometer instead. You can find out how to use these apps to track your carbs and net carbs on keto by using this free guide.